Nuts have gotten a bad reputation, but is that for good reason? In general, nuts are actually an extremely healthy addition to your diet, and walnuts might be the healthiest of them all. So why are walnuts good for you, and how can they benefit your health? We recently shared with you how adding nuts to your diet can help you live longer, prevent disease, and actually control weight, in contrast to the many claims that nuts are unhealthy, fatty indulgences. And it seems that the best nut of all might just be the walnut. So if you’ve ever ask yourself question:”Are walnuts good for you?”, you can rest assured that eating a few walnuts a day can’t hurt; it can only help by protecting from cancer, diabetes, heart problems, and more. Numerous animal studies have shown the beneficial effects of consuming walnuts on cancer treatment and prevention. For example, mice who eat walnuts show reduced prostate tumor growth and breast cancer growth. [1,5] In a large human study, a higher consumption of walnuts was associated with a lower risk of cancer mortality. These results are likely due to the antioxidant and anti-inflammatory compounds found in walnuts. Studies have shown that adding walnuts to the diet can improve memory, cognition, and processing speed in aging individuals. Walnuts might also help to prevent Alzheimer’s disease, as foods rich in antioxidants protect the brain from neurodegeneration. Walnuts are well studied for their beneficial effects on heart health. Eating walnuts seems to decrease total cholesterol, triglycerides, and blood pressure, all risk factors for cardiovascular disease. 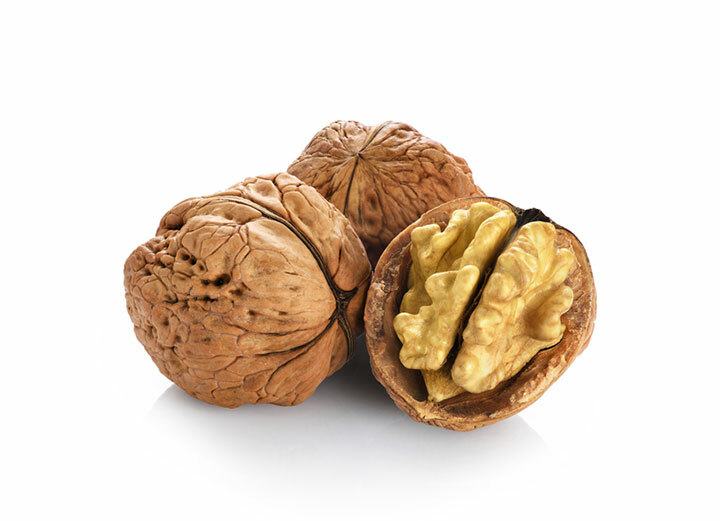 [9,10] In one study, 43 g of walnuts daily for 8 weeks resulted in significant reductions in non-HDL cholesterol. Out of many nuts studied, walnuts were found to be best at binding lipoproteins, which helps to decrease LDL cholesterol. Walnuts also decrease oxidative stress and inflammation, which help the heart as well. Walnuts have an especially high content of polyunsaturated fatty acids, which are extremely beneficial for preventing diabetes. A study in the Journal of Nutrition found that increased walnut consumption was associated with a lower risk of type 2 diabetes in women. Walnuts are considered a good option to incorporate into healthy diets to reduce the risk of diabetes. Hopefully, the abundance of research on the many health benefits of walnuts has convinced you that this tasty nut deserves a consistent, starring role in your diet. 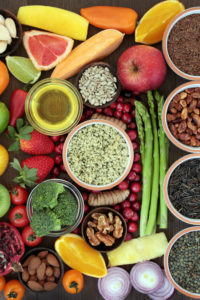 Try chopping a handful of walnuts to sprinkle on your salad at dinner, incorporating walnuts into oatmeal for breakfast, or simply eating them plain for a pick-me-up snack in the middle of the day. Do you enjoy eating nuts? What is your favorite way of eating walnuts? Share your ideas for boosting your walnut intake in the comments section below. J Nutr. 2014 Apr;144(4 Suppl):555S-560S. Food Chem. 2015 Apr 15;173:972-8. Nutr J. 2014 Jan 10;13:4. J Med Food. 2014 Dec;17(12):1281-6. Nutr Res Pract. 2014 Aug;8(4):347-51. J Nutr. 2014 Apr;144(4 Suppl):561S-566S. Nutr J. 2014 Mar 27;13:29. J Nutr. 2014 Apr;144(4 Suppl):547S-554S. Am J Clin Nutr. 2014 Jun 4;100(Supplement 1):408S-411S. 2 diabetes, aging, alzheimer, anti inflammatory, antioxidant, antioxidants, are walnuts good for you, blood pressure, brain, brain health, breakfast, breast cancer, cancer, cancer growth, cancer treatment, cardiovascular, cardiovascular disease, carotenoids, cholesterol, diabetes, diet, eating nuts, fiber, food, hdl, hdl cholesterol, health, healthy diets, heart health, heart problems, improve memory, inflammation, ldl, ldl cholesterol, memory, metabolism, mortality, nutrients, nutrition, nuts, oxidative stress, polyphenols, preventing diabetes, Prostate, prostate tumor, risk factors for cardiovascular disease, stress, supplement, total cholesterol, Triglycerides, tumor, type 2 diabetes, walnuts. I love to leave the house with a little bag full of walnuts to eat as an afternoon snack. I also like walnuts on plain Greek yogurt with berries. I thought you might be interested in this article on https://universityhealthnews.com: Are Walnuts Good For You?